My hat is off to you parents of children with special needs. By necessity, you have become ninjas working in the complex fabric of benefits and social services available for your school-age child. By the time your child is 15, it might feel like you have a good handle on all the details. But wait! Your child is already well into the teens and approaching the magic “adult” age of 18 when the entire safety net shifts dramatically. How can you navigate the waters of special needs transitioning to adulthood? Not to alarm you, but with a desire to get you prepared well in advance, I am sharing some resources that might be useful. The good news is that there are services and programs that can help your young adult with special needs transitioning to adulthood in this major life transition and beyond, although they may not feel as familiar. I’ve found some other links to material that would be useful to read and explore regarding special needs transitioning to adulthood. First, you are likely to look at the vocational training opportunities for your child if college is not an option. This article on VocationalTrainingHQ.com lists the best vocational training programs for the disabled. There are so many factors to consider when accessing how to transition to an independent life in your hometown or any location. 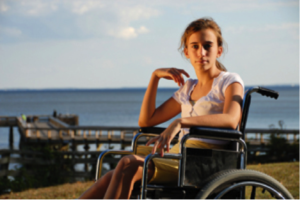 Here is an article titled, Special Needs Checklist: How Disability Friendly is Your City? This is a deep-dive posing questions in the areas of living and housing, employment options, education, healthcare assistance, quality of life, transportation and accessibility. Not only will it get you thinking in a productive direction, but it is chock full of links to additional resources that can help you along the way. Finally, housing and living arrangements often weigh heavily on parents as they may prefer to provide a home for their child for as long as possible. In this case, here is a useful article about how to modify your home further to adapt to the needs of your adult child and provide a multigenerational living space with more privacy for parents and child. If you choose the option of renting an apartment elsewhere, this article on tenant rights and housing assistance could be useful to you.